This Niche of the Week was supposed to be on email client affiliate programs, but I changed my mind at the last minute. Yes, you can promote email client affiliate programs, but I can't get beyond the nagging question: Who still buys and downloads them? While you do have several options, the number is pint-sized compared with the volume of people and businesses looking for email marketing software. 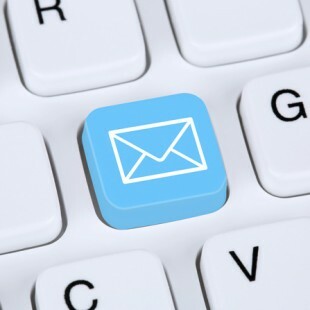 Email marketing is a quick, efficient way to reach your customer base. It's less expensive than sending traditional mail, and allows merchants and marketers to reach a large numbers of subscribers in a short amount of time. It's targeted too, as only users who subscribe and opt in receive your emails, so you are assured that these are people who are interested in your niche. As shown in the above infographic, and as I expected, competition is stiff in this niche. There's plenty of email marketing software vying for the same keywords.You'll need to be creative and target keywords other than " email marketing" and "autoresponder." Instead of going after these obvious keywords, target long tail information keywords like "how to pick autoresponders" or "how to start your newsletter series." These may have low monthly searches, but they address a specific group of users who are interested in the subject and may actually make a purchase. It's a bit of a long shot, but it's better than going head-to-head with other websites that have been in this niche far longer. You can always target other keywords once you get a few pages ranking, and getting consistent traffic to your site. It's been quite some time since I featured ClickBank products here in Niche of the Week, so I went into the ClickBank Marketplace to look for email marketing affiliate programs. They have products on list building, but not a lot that are specific to email marketing and autoresponders. So I went online to search. It wasn't that difficult, as there are plenty of email marketing software providers online. The ones you see below are the more popular ones. I think some of you knew this email marketing provider would be here. For years, we have been recommending Aweber as an autoresponder, and it's not because of the 30 percent recurring commission. It has have a user-friendly interface that is helpful to both beginners and advanced users. Aweber manages its own affiliate program, so you need only go to the site to become an affiliate. GetResponse is yet another popular autoresponder. It offers a slightly higher recurring commission at 33 percent. Like Aweber, it manages its own affiliate program. I can't help but feel a bit cheeky including Fluttermail here. We recommend Fluttermail as the autoresponder of choice in Affilojetpack because the system is linked to the site-building process in AJP. The autoresponder interface is straightforward and easy to navigate, too. I had to include Fluttermail here because it gives the highest recurring commission among email marketing affiliate programs that I've encountered so far: a whopping 50 percent. This is also one of the few email marketing programs in ClickBank. Driving traffic to a webpage is no easy feat, which is why it's important that you have a traffic or link building strategy in place. You can create your strategy after you complete the site, yes, but I prefer to have have at least a few methods jotted down before I put the site up. Press releases are short articles that are written like news briefs. They are usually distributed via news wires and press release sites. You can write about special offers or any announcements from the merchant or vendor of the product you're promoting and place your affiliate link on the press release, or link back to a relevant article on your site. YouTube is the most popular video-sharing site today, and the world's second-largest search engine (with its parent company, Google, taking the top spot). YouTube attracts 1 billion unique users monthly to view, upload and share videos. Get a share of YouTube's massive traffic by creating how-to videos on setting up autoresponder and how email marketing works, then paste your affiliate link in the description of the videos along with a link back to your site. Link baiting can be a hit or miss, as far as the "baiting" part is concerned. The way this method works is you create high-quality content, using and citing in it several authority sites within your niche as sources. You then inform the website's you've linked to on your content that you have cited them as reference. They can then take the bait and refer to your content on their own sites, and most do. It's not so bad if they don't, you still end up with great content on your site, but the having popular sites link back to your content is better. Email Marketing Affiliate Programs: Accept or Delete? The commissions in the email marketing niche are great. They may not look much, but keep in mind that these are recurring commission so you will be getting them for the duration of the customer's subscription. That alone is enough reason for me to try my hand in this niche. I wouldn't recommend this as the niche you start with. If you're new to affiliate marketing, then this is not for you. There's just too much competition. If you have an Internet marketing site though, or a blog about content creation or marketing, then you can monetize your site with any of these email marketing affiliate programs. I hope you find this week's Niche of the Week informative and fun. Please be sure to share this using the buttons below! Do you have any niches you want featured here? What do you think about this week's niche? Leave a comment to let me know! Want to know how to do keyword research? AffiloBlueprint has the lessons!